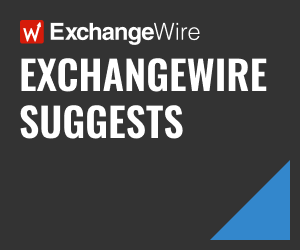 In this weekly segment, ExchangeWire sums up the key industry updates on ad tech from around the region – and in this week’s edition: ZenithOptimedia revises global ad spend forecast on slower China growth; Growing APAC demand for B2B audience; Google probes AdWords debacle in Malaysia, Singapore; Sojern opens offices in Singapore, Dubai; and AppLift announces new offices in Beijing, Tokyo, Delhi. The Publicis Groupe-owned agency lowered its global ad spend forecast for 2015 by 0.5% to a 4.4% increase, totalling US$544bn. It also reduced its 2016 projection by 0.3% to a 5.3% growth rate, noting that spending for the year would be fuelled by the 2016 Summer Olympics in Rio and US presidential elections. ZenithOptimedia said ad spend for 2017 would slow to a 4.8% growth rate. The downward revisions were due primarily to slower growth in China, as well as the deepening recessions in Russia, Ukraine, and Belarus. It noted, however, that the Chinese market would still see higher growth rates than some other countries, with the country’s GDP expected to grow 7.4% in 2014 and 7% in 2015. 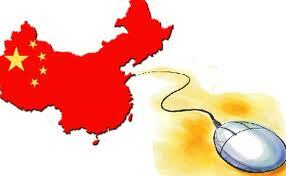 “China’s ad market is slowing in step with its economy, but it too remains very healthy by international standards. We forecast that Chinese ad spend will grow 9.1% this year–below the 10.5% annual growth it averaged over the past five years, but more than twice the rate of the world as a whole. “Between 2014 and 2017, we expect the Chinese ad market to enjoy an average growth rate of 8.5% a year,” ZenithOptimedia said. And despite the slowdown, the agency added, its global forecasts still exceeded the average annual growth rate for last decade, which clocked at just 2.8%, as well as the last 20 years where the average growth was 4.2%. It pointed to online video ads as the bright spot, driven by increasing mobile video consumption and adoption of web-connected devices including smart TVs and game consoles. Smartphones sporting bigger and higher resolution displays, as well as faster connection speeds, were enabling consumers to watch videos regardless of where they were. It said global online video ad spend would climb 34% to US$10.9bn this year, and continue on an upward trajectory of 29% a year, hitting US$2.3bn in 2017. Purchases of B2B audience data in the Asia-Pacific region saw a 94% spike in fourth-quarter 2014, indicating a shift in the region’s digital advertising market, said Eyeota. The biggest ad spenders in this space were in the finance and electronics sectors, where advertisers expressed strong interest in purchasing B2B audience data. “Instead of having to compete with consumer brands to find online audiences previously, B2B advertisers can now employ in-depth targeting techniques to reach a specific target audience,” said Eyeota. For instance, an advertiser in the finance sector can track buyer activity of targeted individuals by intent, such as interest in mergers and acquisitions or asset management, said the data audience services provider. It added that it currently offers access to 2,000 topics, used to power data targeting by intent, through its new partnership with Madison Logic Data, which tags more than 450 publications. The search giant is looking into allegations that its employees in Malaysia and Singapore had meddled with an AdWords account, to push a client into dealing directly with Google. A digital ad agency in Kuala Lumpur filed the complaint with the US internet company and demanded an explanation as to why its employees had directly approached its client, which was a government-linked company. Malaysia-based tech news site DNA, which broke the story earlier this week, reported that it had received communications between the agency and Google employees regarding the issue. It added that Google did not respond to its questions but did say it was investigating the allegations. DNA further noted that the Singapore-based Google executive had suspended the agency’s AdWords account claiming a payment issue, but the account was found to still have credits in it. Upon suspending the account, the Google employee contacted the GLC client claiming its agency’s account was suspended and urging it to communicate directly with Google instead, or risk having to wait for the issue to be resolved. To further complicate matters, the client discovered that its AdWords campaign had been modified to be optimised at CPC rates that were 80% higher than what the agency was said to have configured for the client. It was unclear if this was done with or without its agency’s knowledge, though the agency said it would have needed to cover the difference in cost since the campaign was linked to its credit card. The data marketing platform provider has announced new offices in Singapore and Dubai as part of its expansion plans in Asia and the Middle East. 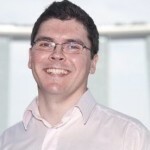 Sojern, which specialises in travel-related data, added that it appointed Stewart Hunter as director of sales for its Singapore office, while Stewart Smith is senior director of sales for Dubai. Both executives will be responsible for expanding the company’s existing client relationships and increasing market awareness for its Sojern Traveler Platform. Noting that one in six travellers in the Middle East used the web as their booking platform of choice, Smith said the region was home to three of the world’s biggest airlines and a fast-growing hotel and tourism sector. Sojern has a database of more than 350 million international traveller profiles, and has other offices in San Francisco, which is its global headquarters, as well as London, New York, and Omaha. Also on the expansion route is AppLift, which this week opened new offices in Beijing, Tokyo, and Delhi. The mobile app marketing company said the three new sites came with its acquisition of appiris, a performance marketing platform for non-games apps, and comes two years after it opened its first Asia-Pacific office in Seoul.